Spend your morning or afternoon cycling around Lake Wanaka and even head out onto the lake itself on this convenient cycling tour package. Avoid sweating and tiring yourself out as you cycle the picturesque Millennium Track on an eBike. 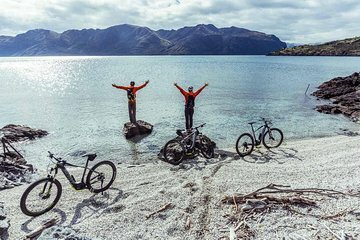 Let the bike’s electric motor do the hard work as you tour around the lakefront, passing bays, beaches and landmarks like Rippon Winery and the Lone Tree of Lake Wanaka. Start or end your trip with a ferry ride from one side of the lake to the other on the Wanaka Water Taxi.